If something happened which made you fear that you might have been exposed to HIV, you need to get tested right away. Whether you suffered trauma or were accidentally exposed, you also need professional advice and answers to your questions. Our prevention programme offers tests and consultations. You can also call a 24-hour helpline for the help you need. Up to three HIV blood tests per incident – immediately after then six weeks and again three months later. If the first blood test is positive, further testing is not covered. Up to three consultations per incident with a specialist at an accredited medical institution. A 30-day starter pack of antiretroviral medication if the HIV blood test is negative at the initial testing. A seven-day course of STI (Sexually Transmitted Infection) medication. One year access to the HIV management programme. 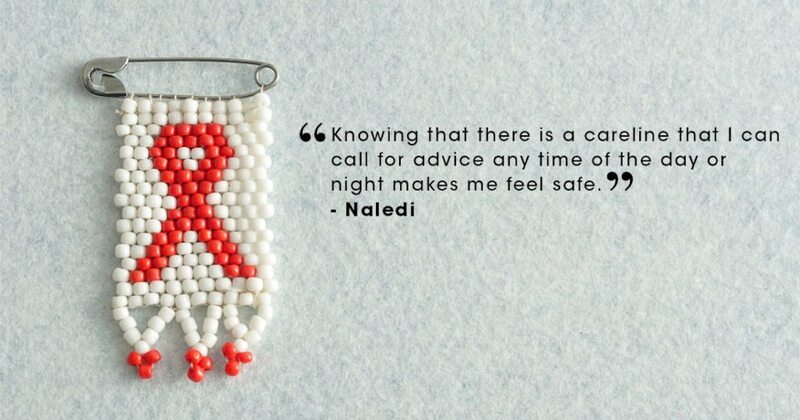 Don't be too scared to call and get tested. You will get help and support.